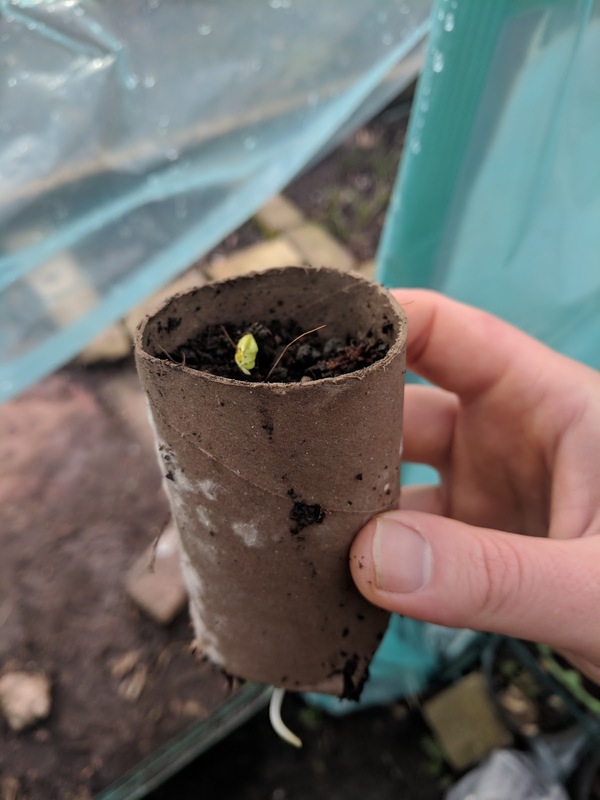 After fighting off a cold over the last 48 hours with plenty of sleep, Beechams and my super-charged vegan immune system, I ventured outside again today for peak inside the greenhouse. 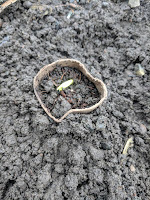 A couple of broad beans have poked their stems above the surface of the soil. 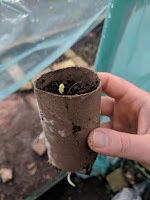 These are from the first seeds I sowed indoors on January 14th, using re-purposed toilet roll inner tubes. 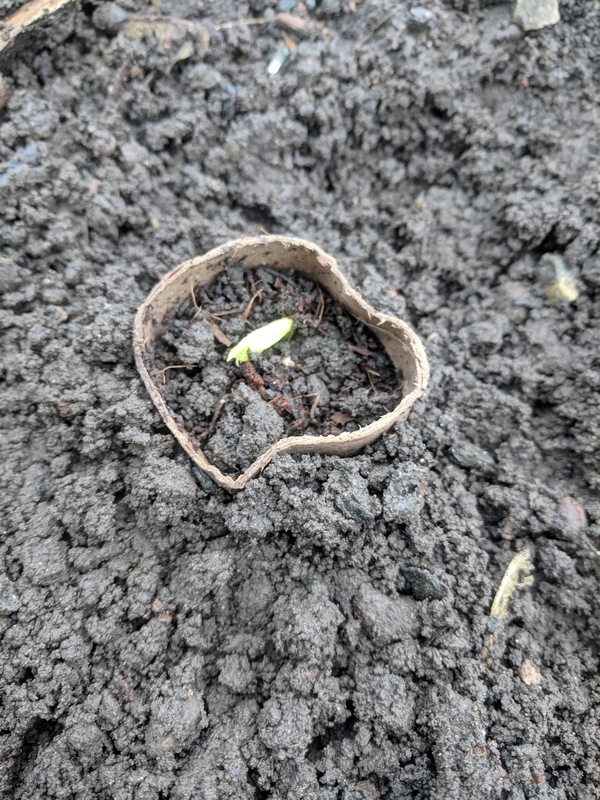 Examining the first seedling closely, I was pleasantly surprised to find it's already sending out a long and healthy root. 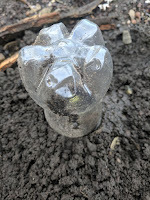 This one's going in the ground, I thought. 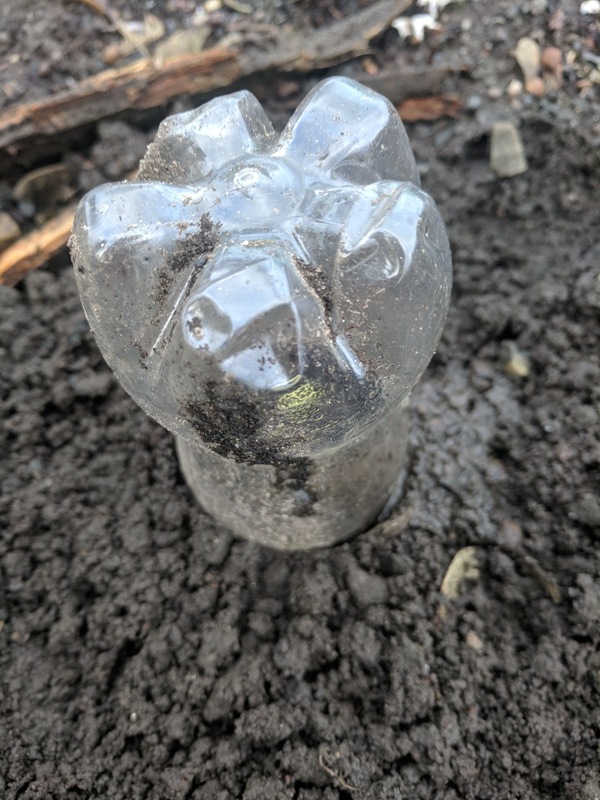 Then I put it in the ground. Then I covered it up with a half a plastic bottle, to acclimatise the wee thing. It might be too soon, you see, so I'm being careful. It's still pretty nippy out there, and there's more snow forecast. One bean at a time. We'll see how that goes. 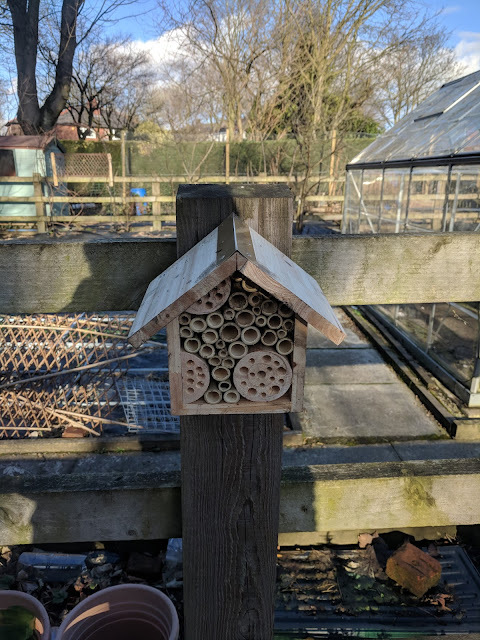 I also put my "bee hotel" up the other day, incidentally - a Christmas present from my sister. Do what you can to help bees in 2018. Without bees we'd all be dead. Thanks.